Conch Reef is aptly named since the area is home to numerous Queen Conchs. This is perhaps one of the best developed coral reefs and walls in the Florida Keys. The area is also home to the Aquarius Underwater Habitat where scientists stay for 10 day stints to study and explore the ocean around them. Narrowly escaping closure, the research facility is also the site for Mission 31, a documentary by Jacques Cousteau's grandson, Fabian Cousteau. Filming begins September 30, 2013 and will capture every second of he and his crew's 31 grueling days under water. The purpose of the documentary is to capture the affects of living under water for a long duration and to study the coral and other marine life in the area. The lab sits at about 60 feet but the living unit is at about 50 feet. This 81 ton living facility is 43' x 20' x 16.5'. Inside there are 6 bunks, a shower and toilet, instant hot water, a microwave, trash compactor, and a refrigerator. The unit is also air conditioned and the computers are capable of linking back to shore. Horseshoe in shape, the shallower portions of this dive spot are in about 15 - 20 feet of water. This makes this one of the better choices for Florida Keys snorkeling. 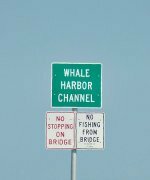 The hugely popular wall is a great Key Largo dive spot. However, with the deeper depths and the often strong current, novices should not consider this as part of their dive. When the currents are strong, drift diving along the wall is a lot of fun. It gives the skilled diver a chance to explore the complex variety of marine life that makes up this extremely well formed coral reef structure. The reef is named for the Queen Conchs that live here. 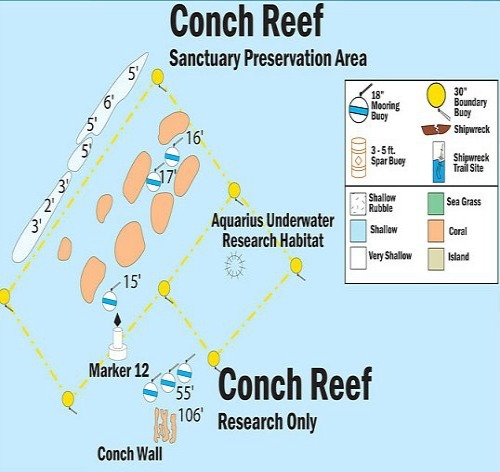 This is an exceptionally well formed coral reef system where the inner section is SPA protected and the outer areas are Research Only restricted areas. It's also the home of the Aquarius Underwater Habitat. Do not enter this area without checking first to determine if access will be allowed. Entering when the area is restricted results in large fines being levied. 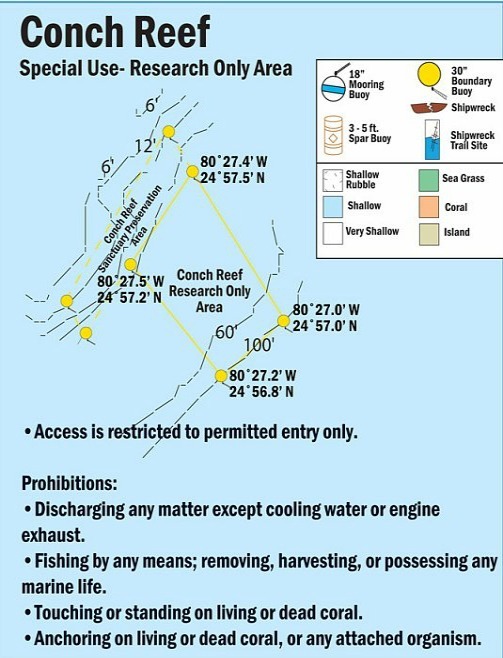 Several hundred yards southeast of buoy #12, outside of the Restricted Area, the Conch Wall is situated. This is a good drift dive spot and is one of the best walls that starts at about 45 feet and runs to a depth of about 106 feet. At the bottom of the drop, numerous gorgonian coral and large barrel sponges are found along with manta rays, reef sharks and a variety of game fish. On your scuba diving vacation, don't miss out on diving Key Largo and Conch Reef if you have advanced certification. Anyone planning on scuba diving this coral reef will be rewarded by an incredible display of various corals, Florida Keys fish both tropical and sporting, and even the larger pelagic species which aren't often seen when reef diving.